The Ubuntu Foundations team is registered on Launchpad under ubuntu-foundations-team, and should not be confused with the Ubuntu Foundation. The Foundations Team is responsible for how the various pieces of the larger system fit together. Some key systems are documented here in the wiki. 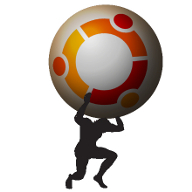 Held weekly at 0800 PDT (aka Silicon Valley Time) Wednesdays on #ubuntu-meeting @ freenode.